On on the 27th of Nisan on the Jewish calendar every year (April/May) Israel observes Holocaust Remembrance Day. 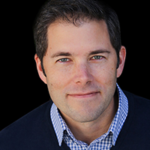 If you are reading this, chances are, you are a business leader or an entrepreneur. This article is for you. The most shameful moments of WWII could not have transpired as they did without the cooperation of international companies—those who led them, and those who followed. To maintain an ethical mindset as a leader, it’s important to pause now and again, to consider some of the more harrowing epochs of our past, and how others in positions of influence utterly failed in their responsibility to guard the dignity of their peers, colleagues, and neighbors. It won’t do to simply claim that we would never participate in such awful practices. We need to continue to learn. I’m reminded of the first time I experienced Holocaust Remembrance Day in Israel. The day calls to mind the darkest hour of violence against the Jewish people in their millennia-spanning history. All over the country air raid sirens ring out, marking a moment of silence. Several million people—from Eilat in the South to Haifa in the North—stop moving. Cars and buses pause in the middle of the streets, and people cease walking along the sidewalks, momentarily yet determinately. A nation that emerged through pains of great sorrow carefully guards the memory of its origins and hopes against hope for a better future. What is it about the Holocaust that causes such intense remembrance and grieving—such agonizing glances at this cruel chapter in Jewish history? Images only of the grounds as photography is not permitted inside. Carefully recorded historical evidence helps us apprehend what it was that transpired during Hitler’s ruthless reign. 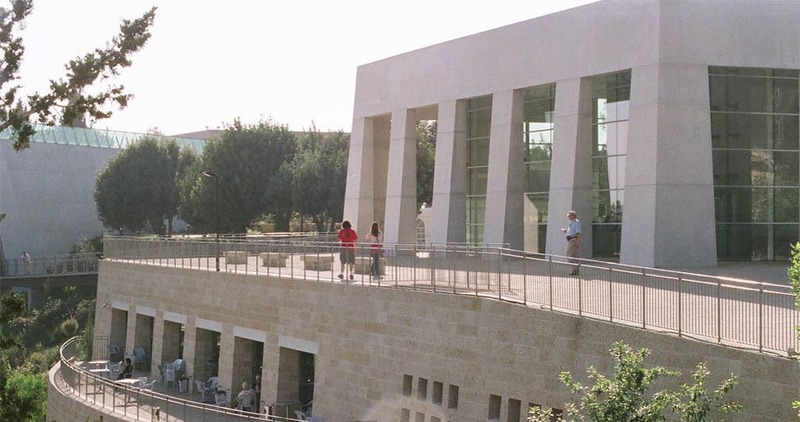 Yad Vashem, Hebrew for “A Memorial and a Name” is the Holocaust Martyrs and Heroes Remembrance Authority located in Jerusalem. The museum was built to move visitors to abhor genocide in any form, and to silence historical revisionists who deny even the basic storyline of Nazi antisemitism. 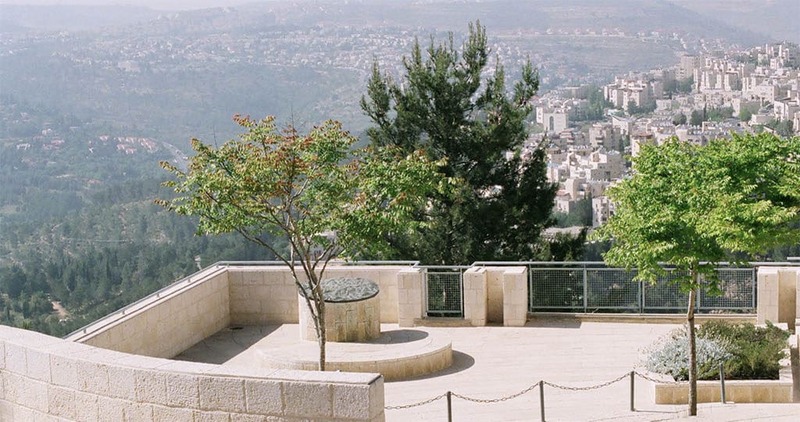 The same year I first observed Holocaust Remembrance Day in Israel, I had opportunity to visit the museum, overlooking, as on a teetering ledge, the lush green hills that rise in stark contrast to surrounding dry lands. It is impossible to equip for this—the memorial of six million Jewish lives lost—by historical, statistical, or intellectual means, lost as they were to gas chambers and ovens. The sights and stories anchor their memory in our minds, so that we are unable to soon forget. And yet people do forget. The adage that history repeats itself, is not sobering but bewildering in light of our supposed sophistication and modern concepts of people and cultures. Silence on the part of nations or groups of individuals about Holocaust revisionism and other blights circulating today via numerous forms of media foreshadows further troubles for this people who century after century [after millennia] have battled myths and libels, often ending in persecution and pogroms. It’s a tragic irony lost on the common greeting of the Hebrew language. Incidentally, even having known that “shalom” (peace) was used as a greeting in Israel, it is something almost incredible to hear and see. Though many sights and sounds at Yad Vashem could disquiet the toughest of characters, possibly the most unsettling display is a large collection of small shoes, from children stolen by the camps. Piled together under a glass walkway, they are artifacts of childhood lost. At the time, my wife and I had only a young son, and a daughter on the way. We were enjoying great peace and security with our family, but here were laid little reminders of a great calamity, suffered by so many. So we remember the Holocaust—and a time of wounding that caused (and continues to cause) so much sorrow. What does this have to do with leaders and innovators? Everything. You are the influencers in society. Some of you have thousands of followers on social media and speak before large public audiences. What are you willing to say today to help others learn from the past? The Holocaust happened because of cancerous ideas that were opposed by too few, too late. Even now as I write this, outspoken individuals are fueling campaigns to boycott, divest and sanction Jewish interests internationally. Will we wait and see if once again economic isolation leads to social isolation and persecution, or will we resolve to do something? Further down we’ll detail what you can do make a difference in your community today. My wife’s grandmother, a holocaust survivor, died last year but left to us a priceless memory, and her timeless class. Her own story included great human loss, and an escape from Austria on the last plane out before the Nazis did their worst. My own wife—and subsequently my children—would never have been born apart from her flight, and we consider that a critical part of our own family’s history. When I think of the freedoms we enjoy today, I can scarcely think on the Holocaust without a very great sense of sorrow for so many who have lost so much. May we never forget, and may you not either. Please consider supporting the following charitable organizations (with memberships or donations) which continue the memory of the Holocaust and honor its victims by educating others. 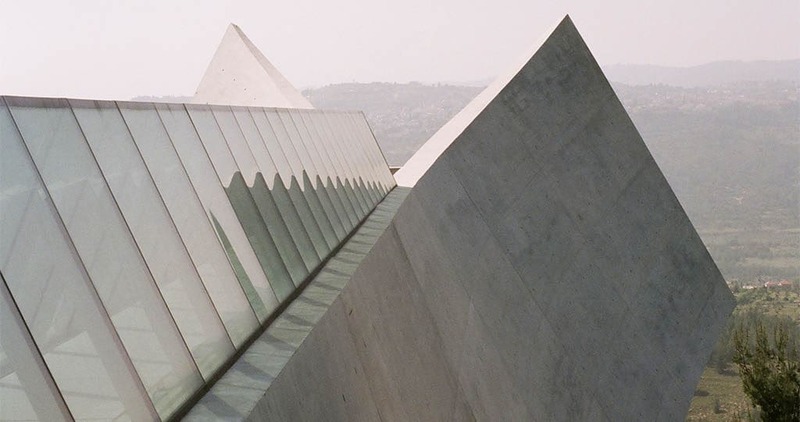 Yad Vashem—The World Holocaust Remembrance Center, Jerusalem: http://www.yadvashem.org. Visit Israel. Tourism today is affected by negative press and anti-semitic publications. Visiting is a way to enjoy one of the most beautiful countries in the world and offset tourism divestment. For travel concerns and questions, see the Ministry of Tourism site.